Mount Assiniboine In The Fall is a photograph by Richard Berry which was uploaded on November 28th, 2014. 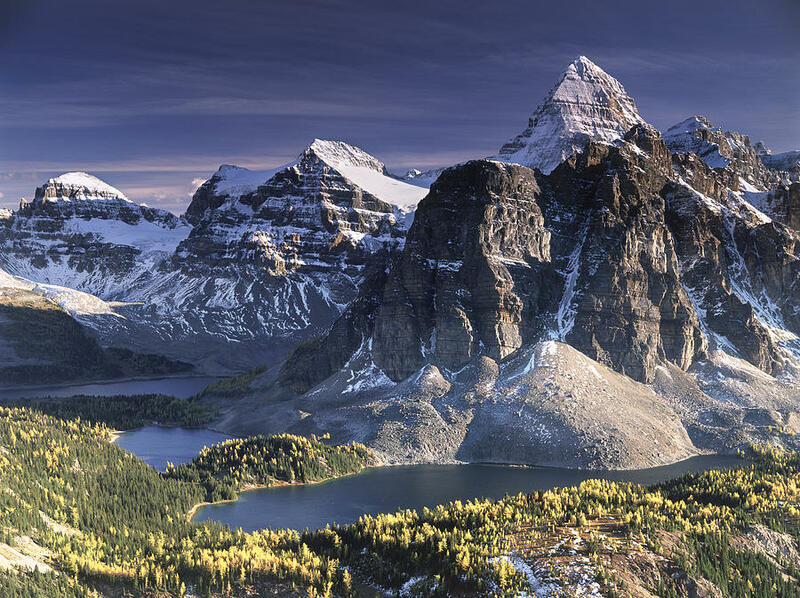 Mount Assiniboine surrounded by golden trees and lakes in the fall. 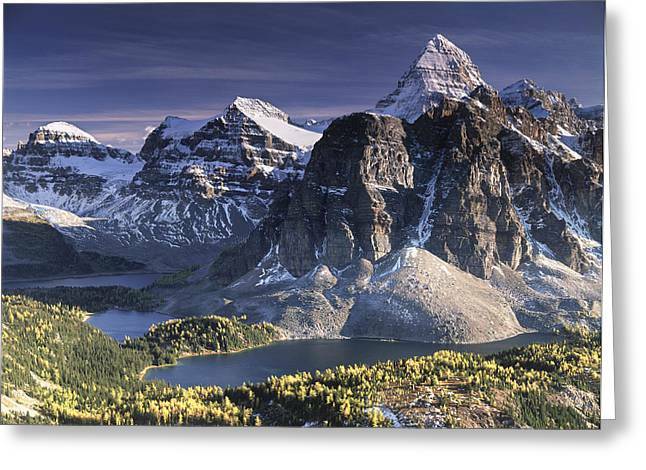 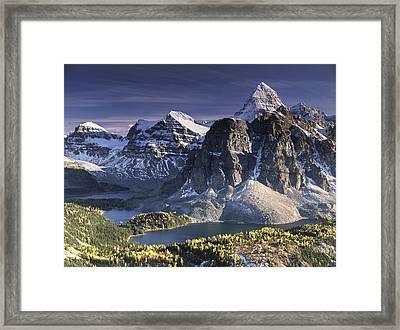 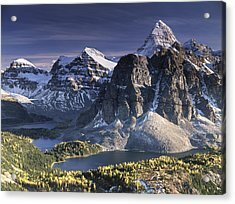 The mountain is located in Mount Assiniboine provincial park in British Columbia, Canada. Alpine scenery from Canada, British Columbia province, Mount Assiniboine Provincial Park: In foreground, 3 lakes: Magog (left), Sunburst (middle) and Cerulean (right). 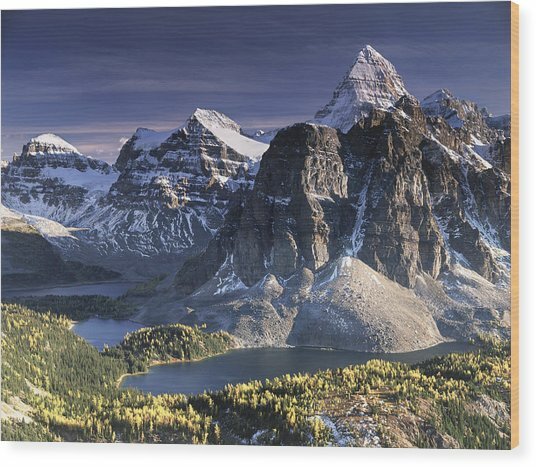 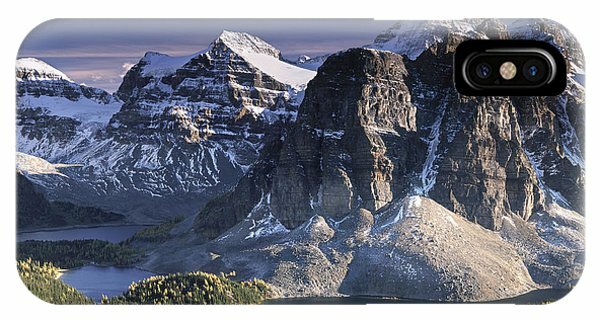 Mountains: - in foreground, Sunburst (right); - in background: Terrapin (left), Magog (middle) and Assiniboine ("The Matterhorn of the Canadian Rockies").